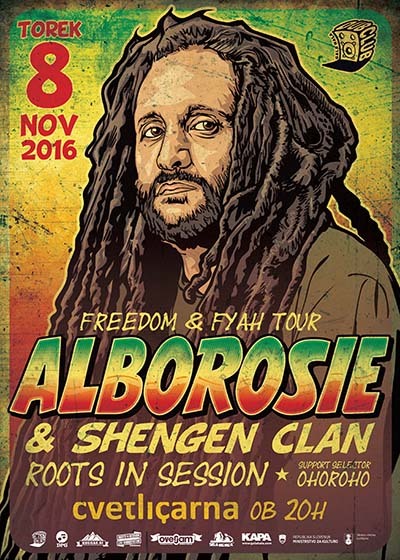 Don't miss Alborosie for the first time in Ljubljana, Slovenia, on Tuesday 8th of November! His exclusive concert, where he is going to present his recent album Freedom & Fyah will be accompanied with the always amazing Schengen Clan band. Cvetličarna (Ljubljana). Tuesday, 8th November at 20:00. Nuh miss! Soundsystem support by Slovenian crew Roots in Session & Ohoroho.